We often go to the open market in Bridport, Dorset on a Saturday morning. 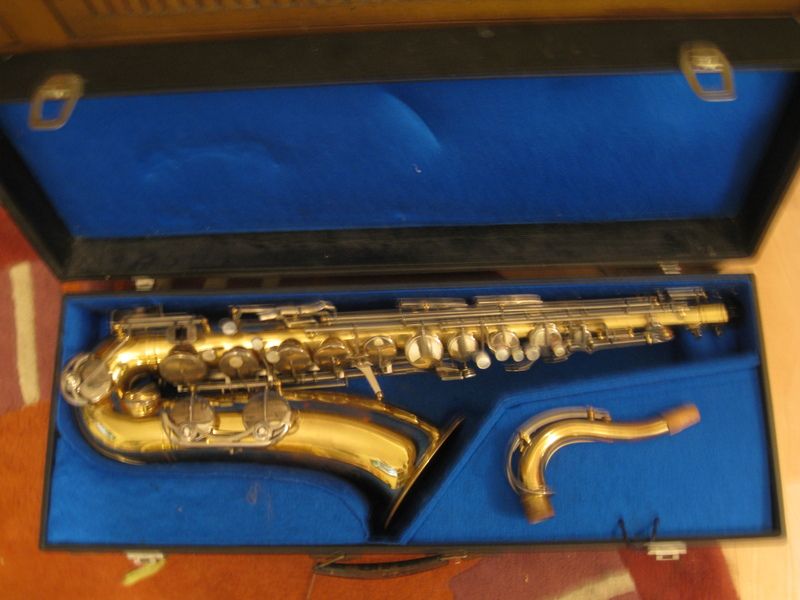 In September 2011 we discovered a seller who had this instrument for sale. 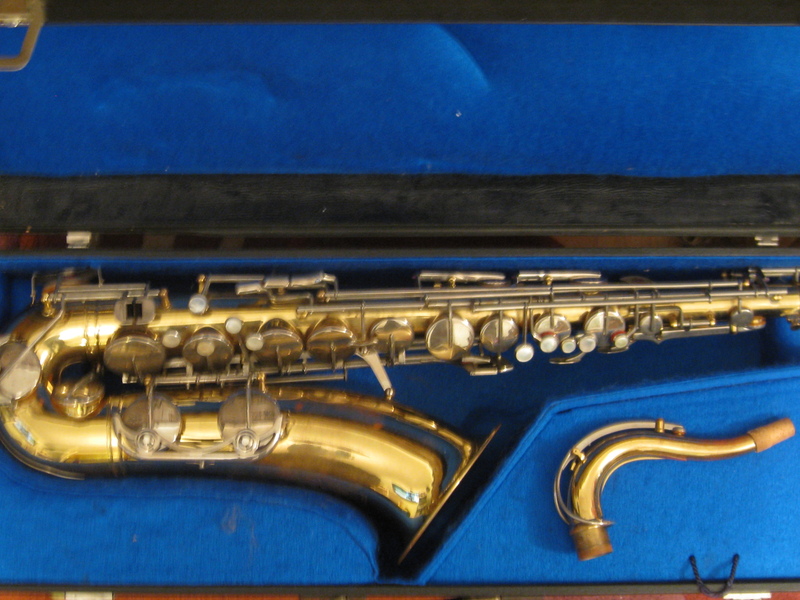 The lady was selling it for her son, who was not a player himself. 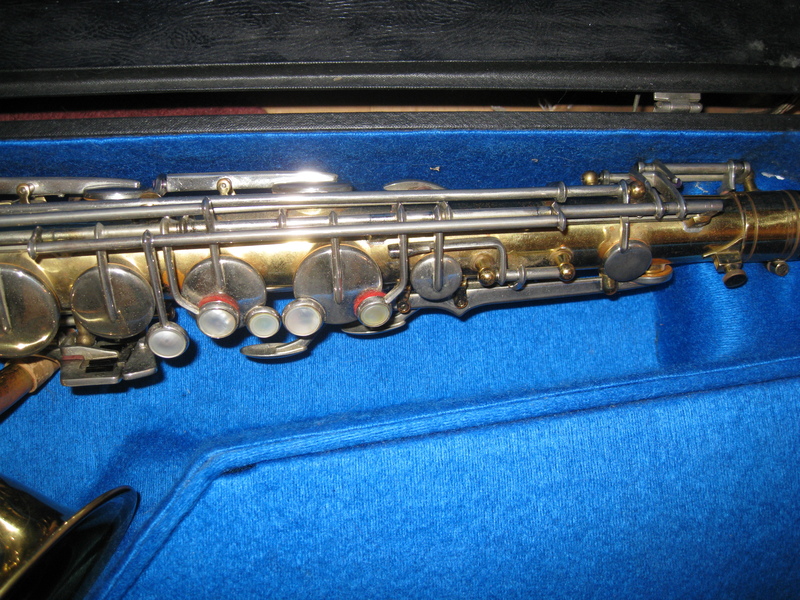 There was no workable reed in the case, but it looked in good condition. 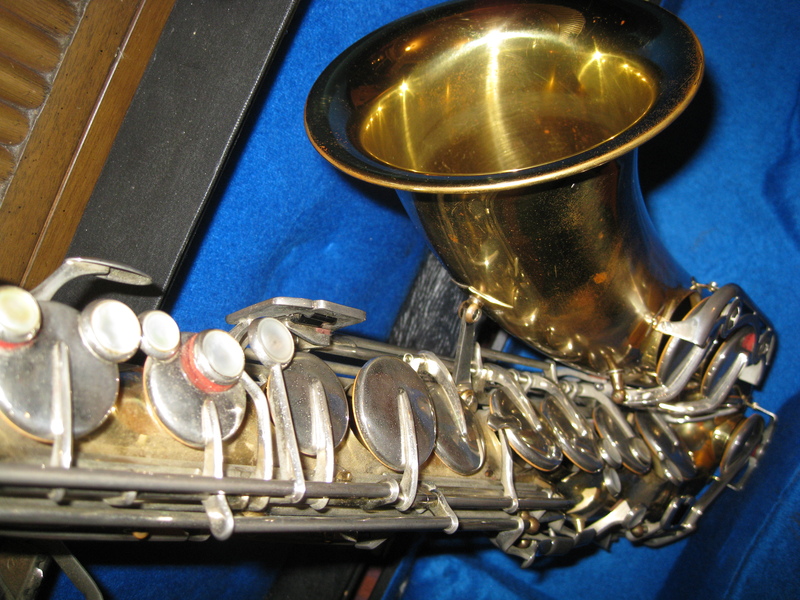 It had no maker’s name on the horn, but looked playable and was relatively cheap for a tenor. 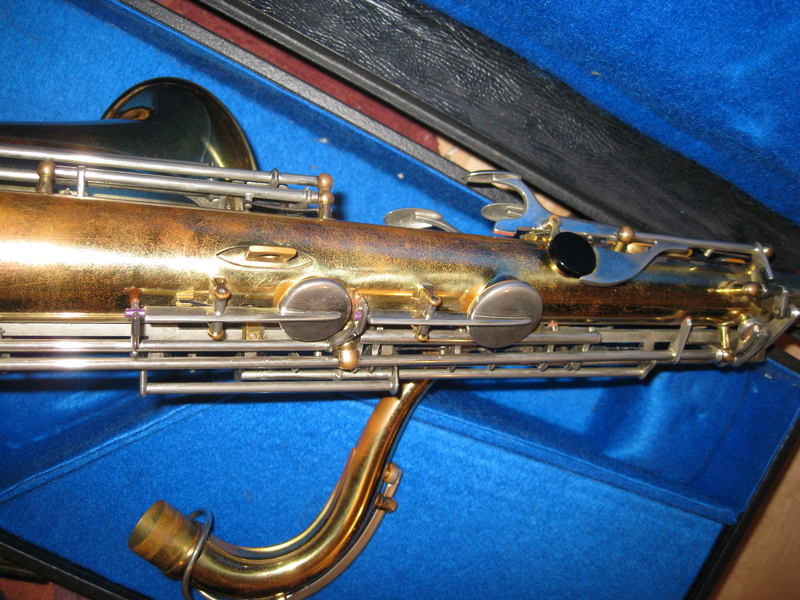 Subsequent research proved that this is a Weltlang saxophone, with ‘made in GDR’ market on the body under the serial number. 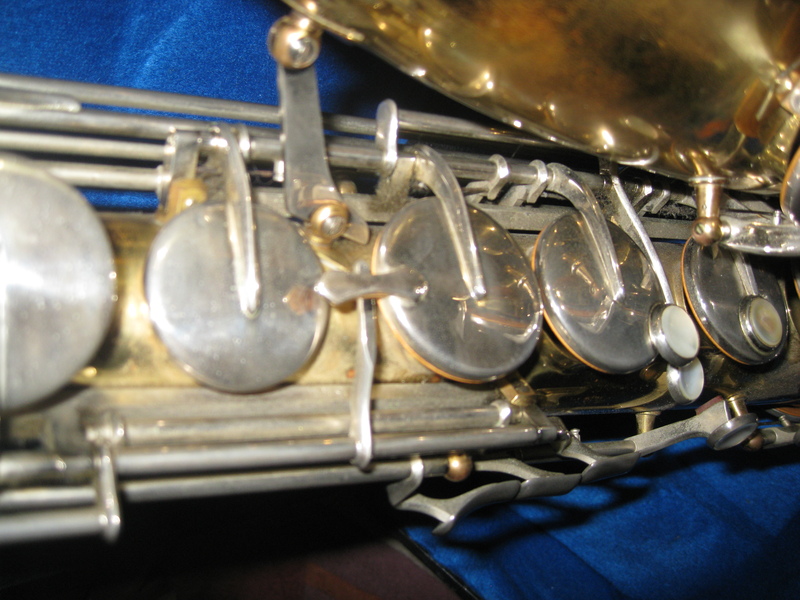 The telling feature is the upper octave mechanism with one band held inside two – see the picture above. 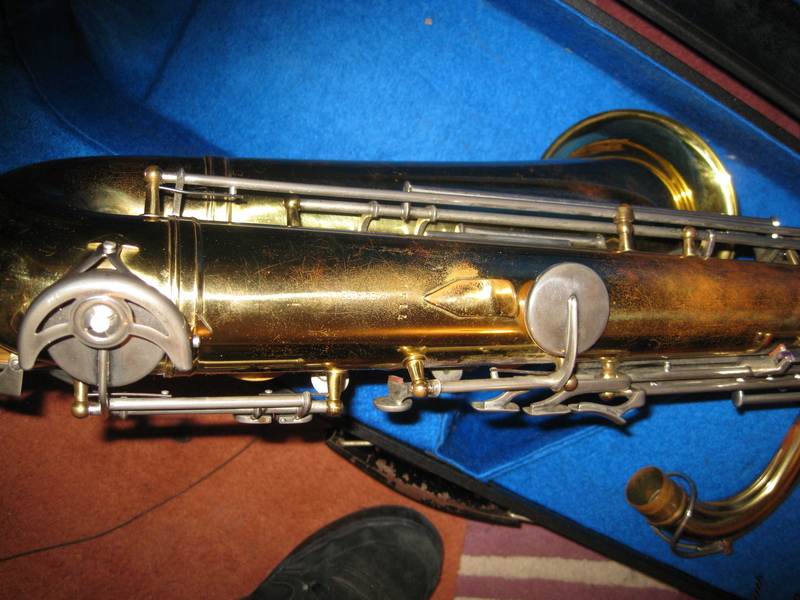 It’s finished in gold lacquer with silver keywork. 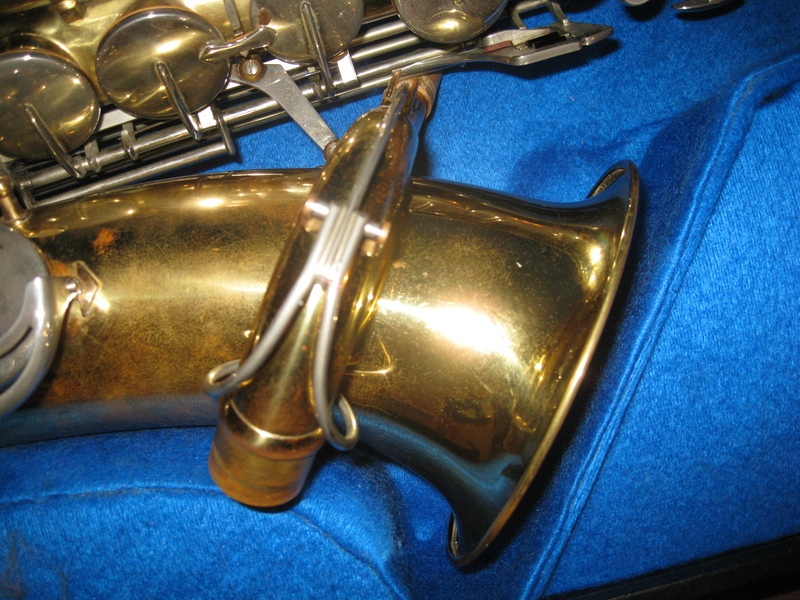 It has an F# key, with lower keyholes on the right of the bell – in other words a modern design. 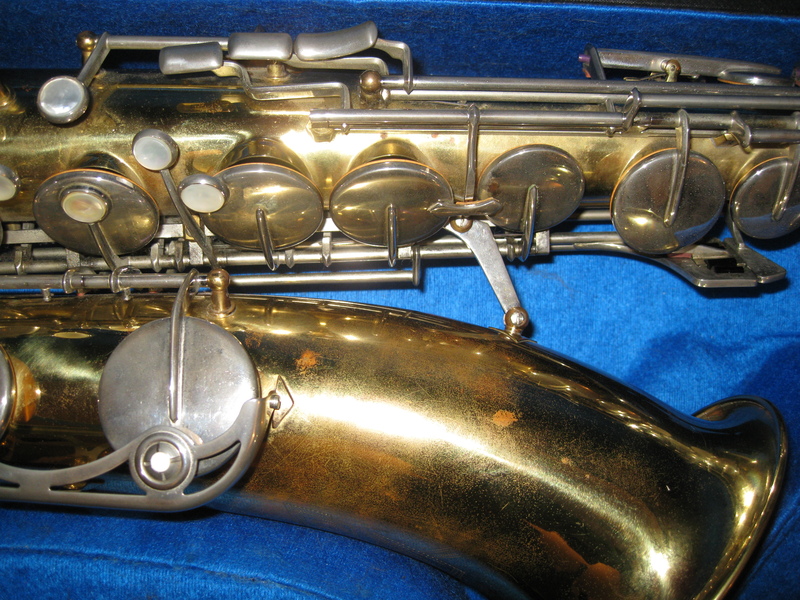 The serial number dates it to 1962. 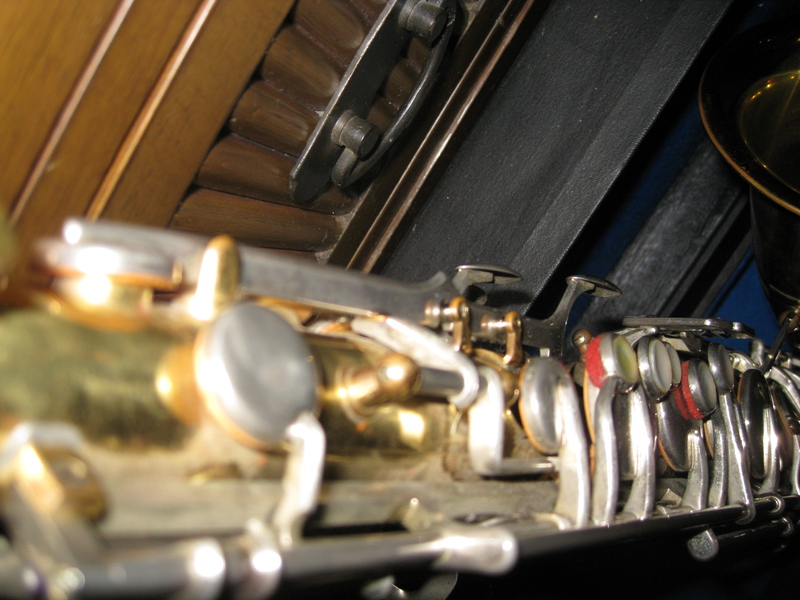 The keys require a lot of finger pressure to open or close them, with particular strength needed for the bottom keys under the left little finger. 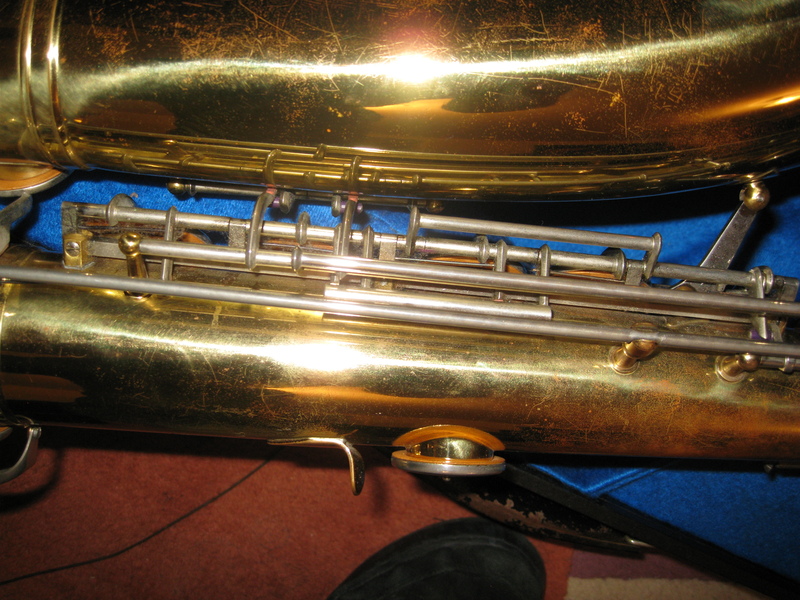 I haven’t had the horn looked over by my fixer upper yet and it seems to leak a bit below the bottom F. However the sound is loud and true. 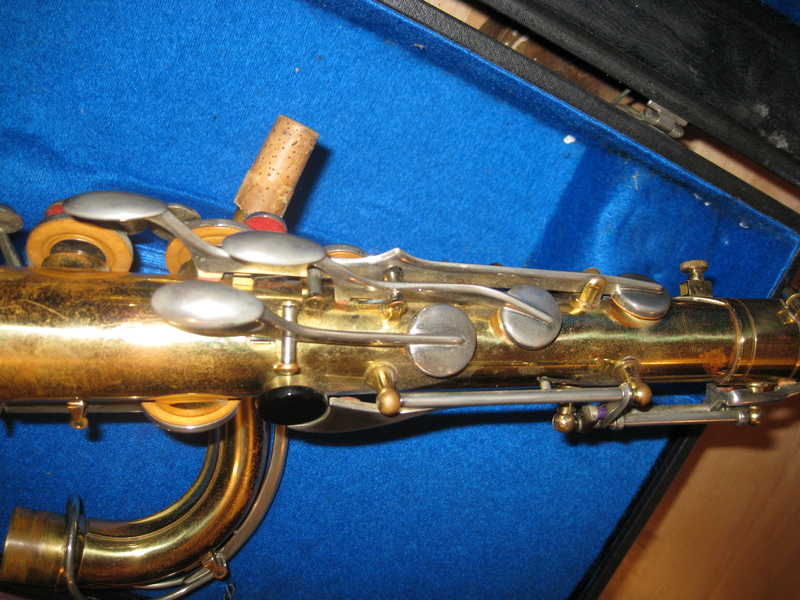 The weight of the saxophone is also relatively heavy. 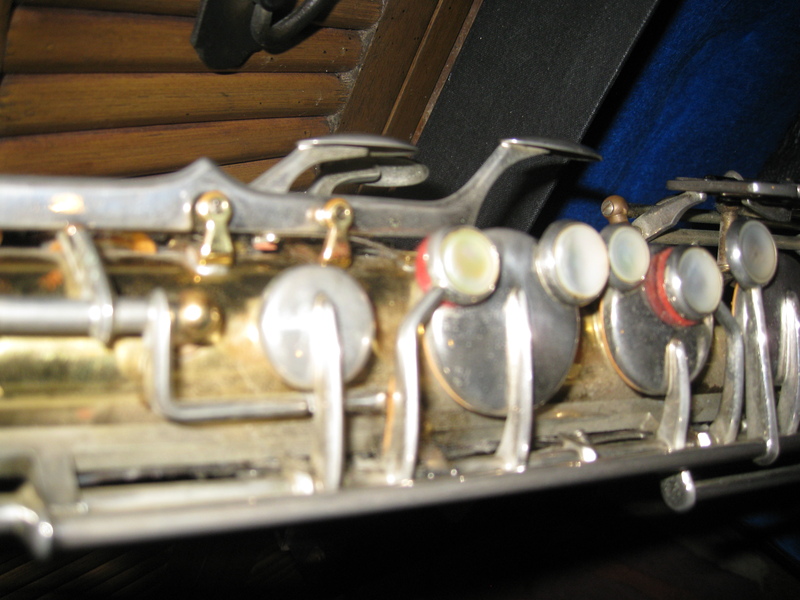 It stays in tune across both octaves and the higher notes in the top octave are particularly strong. 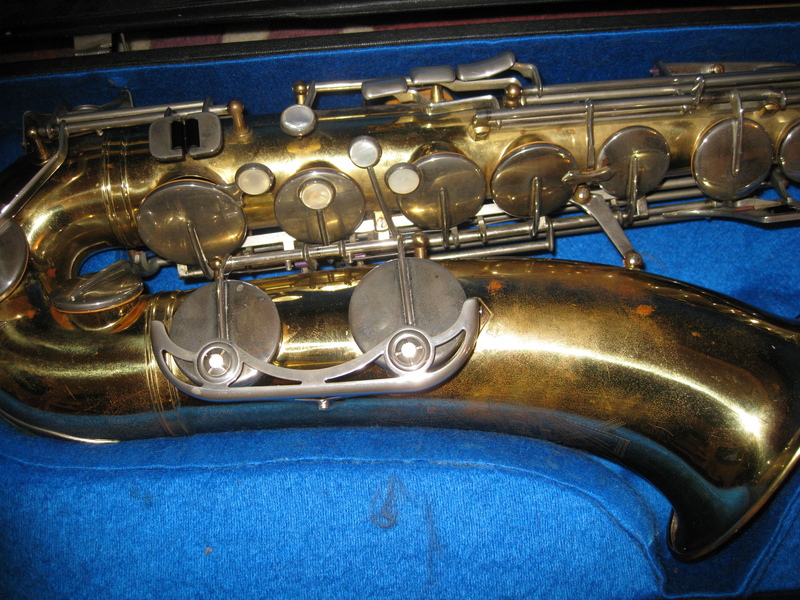 I can find no real information on Weltklang saxophones and would welcome any further information. 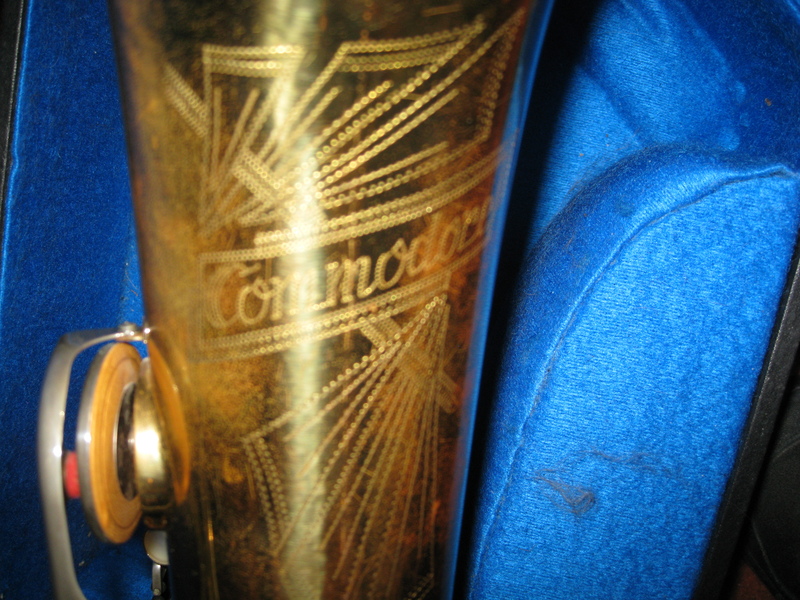 I have a weltklang tenor the solist and it is a fine horn. These are way under rated, compare to a Keilwerth or cannonball. Upper register is absolutely big and great.